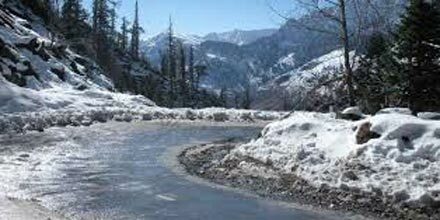 The overnight journey to Manali - the first stop of your Himachal honeymoon, starts from Delhi. After a comfortable Volvo journey, wake to the breathtaking views of tall, snow-clad mountains of Manali. A rather lazy start to an unforgettable trip of your life. After reaching the hotel in Manali, check-in and relax for a while. In the evening, you can head out to the Mall road to spend some quality time with your partner. You can check out the various cafes and restaurants, and shop for lovely handicrafts at the Mall road. Experience the magic of snow, mighty peaks and divine beauty that will leave you speechless. Second day of your 5 days Himachal itinerary starts with a wholesome breakfast at the hotel. 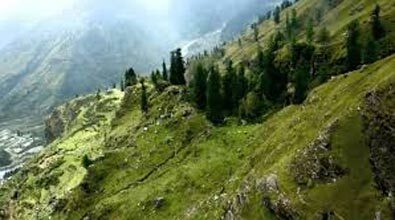 Then get ready and proceed for sightseeing at Rohtang pass. The snow clad land and mountains here are simply captivating. You can enjoy the romantic view with your partner and also try some snow activities like skiing and snowboarding. From there, you will be driven back to your hotel to relish another amazing dinner. Overnight stay at the hotel. Optional: Instead of Rohtang, you can plan a trip to the beautiful Solang valley. The beauty of Shimla is felt, just like the loving bond you share with your partner. Enjoy a lazy morning and yet another delicious breakfast on day 3 of your honeymoon. Then pack and get ready to check-out. Board the cab and proceed to Shimla – the queen of hills. It is a popular tourist attraction and a preferred honeymoon destination in north India. 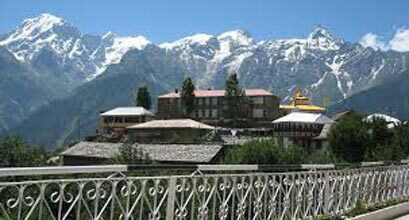 While travelling, you can take pit stops at Manikaran Gurudwara and enjoy a dip in its hot springs. After you reach and check-in, you can take some rest and then go out for some local sightseeing in Shimla. The Mall Road is the perfect place to enjoy a romantic walk with your partner and enjoy some knick-knacks at Mall Road’s famous restaurants. Towards the evening, come back to the hotel for a quiet and lip-smacking dinner. Overnight stay at the hotel. Exploring the state capital with your life partner is going to be memorable for its pristine beauty and charming simplicity. Start off with a delightful breakfast and then leave for a day excursion to Kufri. A scenic hill station, it is one of the best places to spend some quality time with your partner. 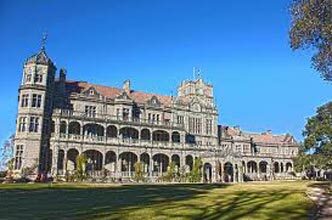 Enjoy the local surroundings while admiring the natural beauty of Shimla. Alternatively, you can also try some snow activities like skiing and tobogganing. If you are a wildlife loving couple, you can visit the Himalayan Wildlife Park. Adventure loving couples can go for a rock climbing tour or a pony ride to Mahasu peak. After all the activities, enjoy lunch at Kufri and then proceed for sightseeing in Shimla. Key attractions here are Jakhoo temple, Christ Church, and Indian Institute of Advance Studies. Come back, rest and relish another loving meal with your spouse. Overnight stay at the hotel. It’s adieu time! Say bye to hills and lovely people of Himachal before taking off for home. Have breakfast, check out of the hotel and start your Volvo journey back to Delhi.